In June (where does the TIME go?!) Carina and I met up in Barcelona for a weekend of sunshine. It was fabulous hanging out on the beach in 30C, sipping Sangria and eating tapas. Before I went I had quizzed my Spanish colleague about restaurants and got some recommendations from a friend of his. 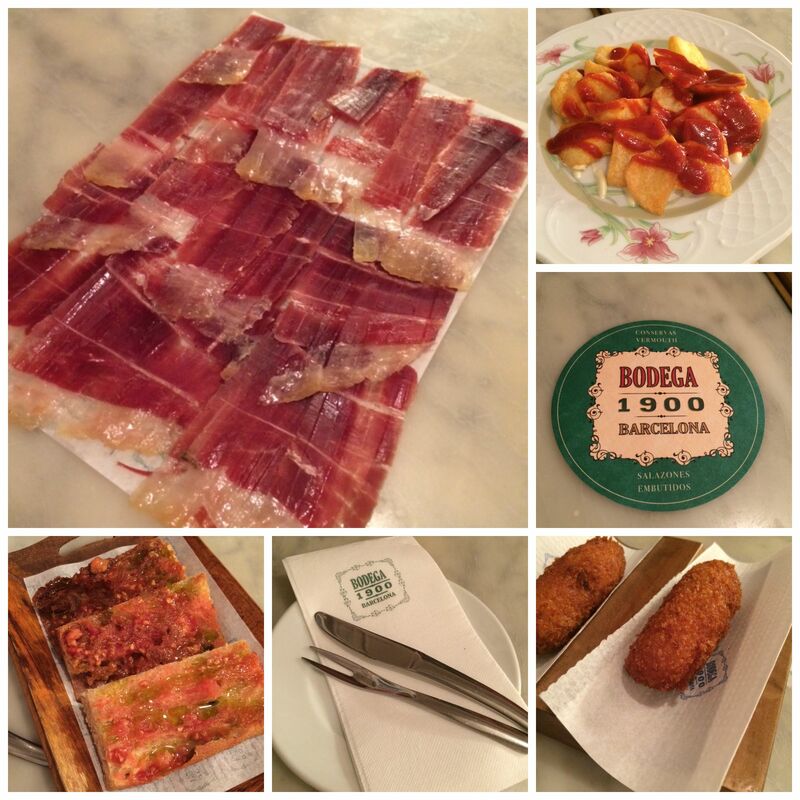 The one that jumped out at me was Ferran Adria’s (famous for El Bulli) casual tapas place, Bodega 1900. Bodega 1900 is quite a humble place; it’s not decorated in a fancy way and it’s not expensive, it’s just really nice tapas the Ferran Adria way. We ordered some of the very traditional tapas dishes (above) and it was all nice but I have had better jamon and pan con tomate elsewhere and was a bit surprised. The patatas bravas were also just good, but didn’t wow us. But bear with me, because then things changed. 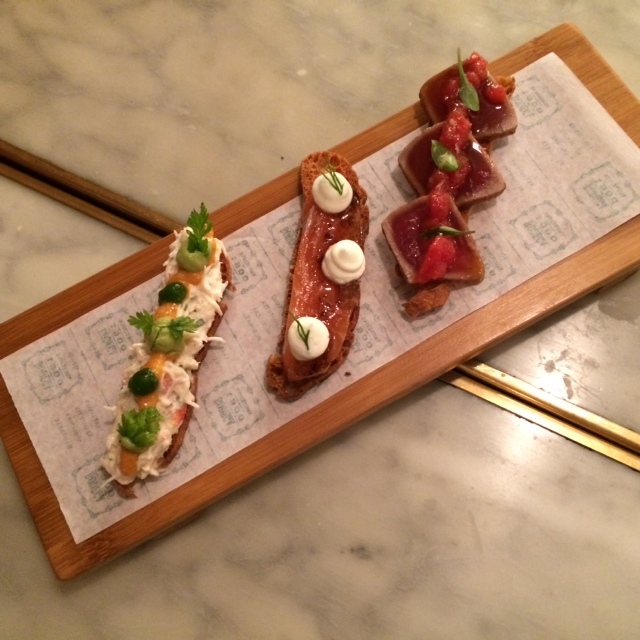 The jamon croquetas for example were fabulous and absolutely perfect. 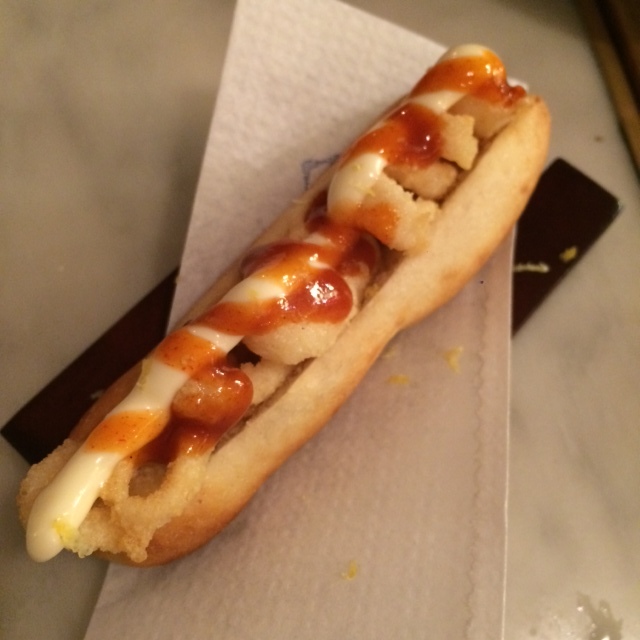 And once we tried some of the more innovative dishes, like the calamari hot dog recommended by our waitress, we were blown away. It was so so good! 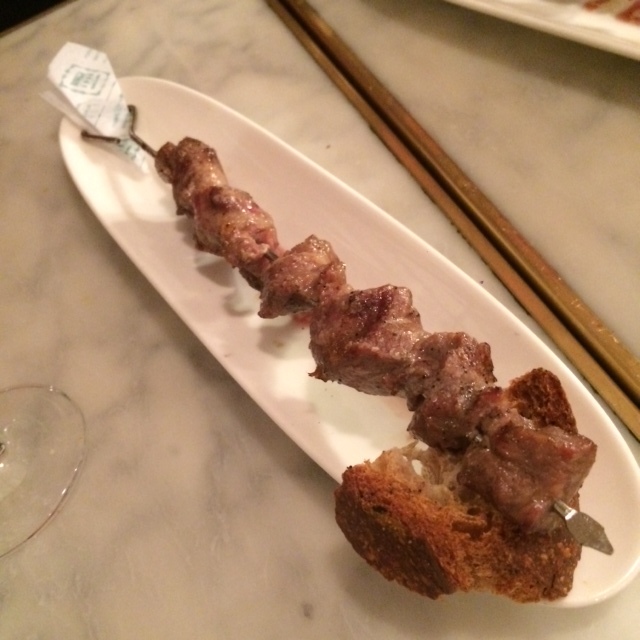 And these skewers of Iberico pork were the most delicious pork I’ve ever eating. I’m salivating now just looking at the picture. We also had these, pretty-as-a-picture pinxtos with seafood (left to right: snow crab; glazed salmon with horseradish and tuna with peppers.) And they were absolutely amazing. Next time I go to Barcelona I’ll definitely pop back in.